Back in October 2015, actor Henry Cavill and girlfriend Tara King made their first appearance. The pair attended a rugby match together and garnered quite a bit of attention. That's because the Batman vs. Superman star is 32, while King is a 19-year-old student at Bristol University. Naturally, people have been surprised by their 13-year age difference. 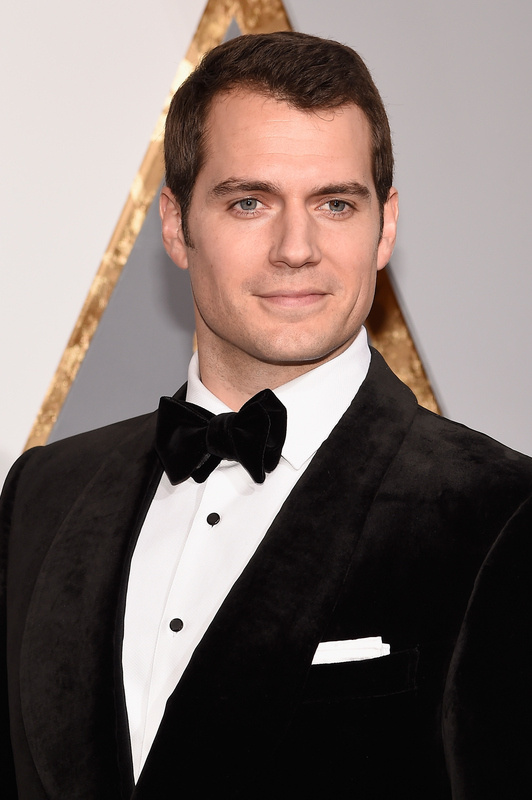 Still, Cavill doesn't seem phased by the gap at all. He told Elle that his girlfriend is "fantastic." In fact, he was "super intimidated" when he first met her and told himself, "Don't mess this up, man." Honestly, if they're not bothered by the age gap, who is anyone else to judge? Perhaps she's mature for her age, while he can still relate to people younger than him. It sounds like that would balance out well. After all, the two did meet at a nightclub in London, according to the Daily Mail. That shows he can still hang with a young crowd, right? In case you're still skeptical about their relationship, here's a round-up of Cavill and King's best photos that prove these two are quite happy together — and perhaps that age really is just a number. No matter what other think, they seem perfectly content and that's what matters most. How classy are they? Those black-and-white ensembles are picture-perfect. Just look at those big grins! King's dress is so pretty. Meanwhile Cavill's undeniable smirk shows how happy he is to have her by his side. Sure, it's from the same event, but the closer photo really shows off his smize. This picture can double as a reaction to anyone who criticizes their relationship. I think Cavill's face says it all. Just like photo #6, this can sum up their response to any haters. Once again, they're all dressed up and look like they don't care what anyone thinks. Their facial expressions speak for themselves. Whether or not they're your new favorite couple, it looks like they're here to stay. And if that's the case, it's great Superman found someone to make him smile so much.